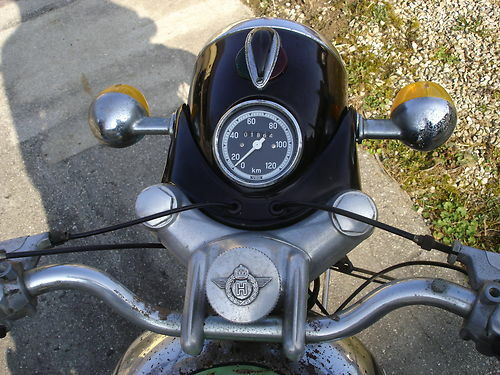 Horex was a German Motorcycle manufacture which was started by the Rex glassware company in Bad HomburgGermany in 1960, so you can see where the name came from. They originally purchased their 4-stroke engines from Columbus, until Horex merged with Columbus in 1925. 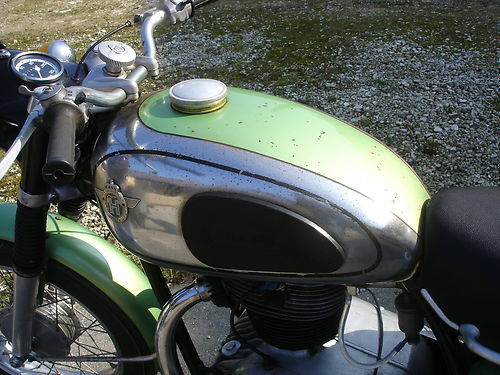 This 1958 Horex Resident offered up over on eBay.de is something you may never see here in the States from a company that disappeared, but may be re-appear. This is a nice Horex Resident 350 converted to sport style. Engine is running, no paperwork. Check photos you get what you see. Like many manufactures in Europe, Horex was unable to produce motorcycles for many years in the late ‘30’s and early ‘40’s. 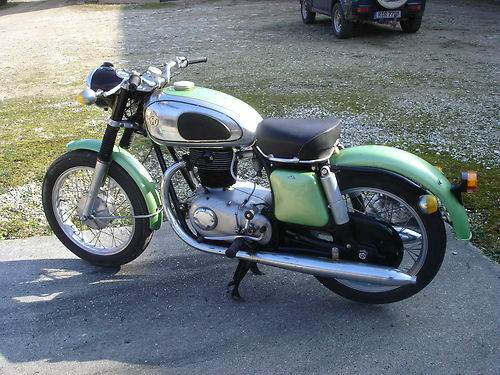 When they did start production up again, their most popular bike was a 350cc single called the Regina. Horex as able to sell over 18,000 of the. During this time they also offered a 400cc and 500cc Straight-two, one cylinder in front of the other. This Resident was first offered in 1955 and replaced the popular Regina. The 350cc engine offers and over square 77×75 single cylinder, with a 7.1:1 CR which generates 24hp at 6250rpm. The twin port exhaust is a hold over from pre-war racers which used a twin port in an attempt to keep the exhaust valves as cool as possible. 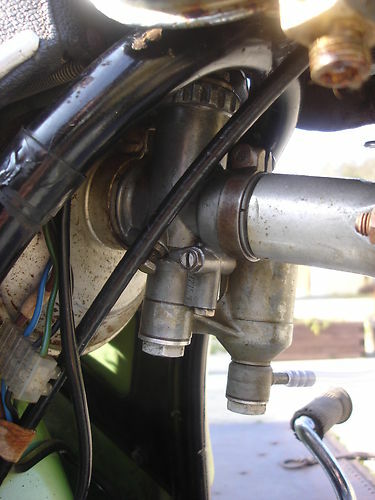 The single carb looks to be by Bing, and for a 350cc could likely be as large as 26mm. 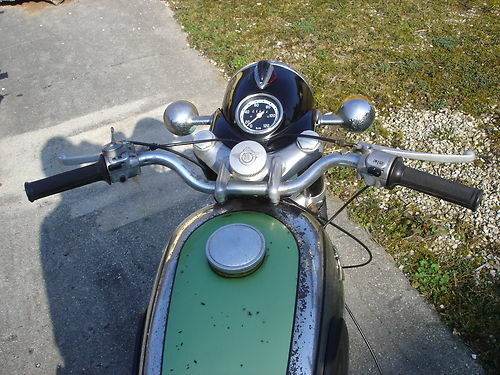 The seller claims “converted to sport style”, but I am interpreting that as a Café racer, and not tuning to the engine.